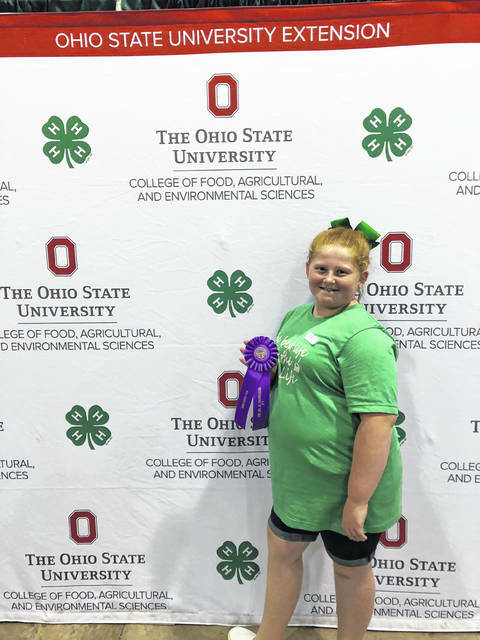 She is a member of the Charm-N-Farm 4-H Club in Fayette County. This year she served as the club’s secretary and Outstanding for news reporter. Lilly also participated in sewing. She sewed a elastic waist skirt with a hand-stitched hidden hem, and earned an Outstanding of the Day for Fayette County, as well as a seven clues to fashion award for grooming. Lilly is the daughter of Tony and Staci Hamilton, granddaughter of Steve and Daisy Shiltz, Susan Hamilton, David and Kim Hamilton, and the great-granddaughter of Mary Stolsenberg.